Artichoke is thistle like plant that is widely cultivated for the flower heads. The flower heads are edible part of the plant and considered as vegetables. The budding flower head is combination or cluster of lots of budding small flowers, which have many edible bases and bracts. Cardoon is the name given to uncultivated and wild variety of the artichoke plant. It is the perennial plant and native to Mediterranean locations or regions. Vitamin K helps in improving bone health and promotes the bone formation. Vitamin C present in artichoke helps to have a healthy skin and acts as an antioxidant as well. It enjoys the stardom position in many of the dishes, which are prepared across the cuisines, as being low in fat content along with calories. It enables in enjoying its good portion in your meals without the worry of gaining weight. Another important component of dietary helps in improving digestion by enabling superb movement of bowel. It is rich in source with respect to dietary fiber and making it favorite among the digestion enhancers. It is remarkable source of folic acid. It is also regarded as co-factor of reactions of enzymes. It is beneficial for the synthesis of DNA during the pregnancy and treating neural tube problems or issues. It also contains components such as lactones and cynarin, which are helpful in preventing synthesis of cholesterol, by keeping heart in healthy form and pattern. It improves the secretion of bile, which results into reduction of the overall cholesterol levels in your blood. Artichoke are good source of natural phyto chemicals that work as anti-oxidants These antioxidants are crucial for preventing free radical formation and coping with oxidative stress produced by these free radicals in the body. These free radicals are also responsible for aging and cancers. Buds of artichoke help to delay aging and arrest cancer-forming reactions in the body. An appropriate portion of Vitamin C is making it possible for the body for resisting inflammatory reactions and helping in preventing infections to larger extent. Artichoke is believed to be effective remedy for the Alzheimer’s disease. Patients with Alzheimer’s disease should include this vegetable in their diet chart. 100 g Artichoke contains 285 mg potassium (8%DV), so it is one of the good foods for the heart and hypertension. Including artichoke in your meal will help you to keep blood pressure under control. Artichoke keeps you healthy by improving metabolism and overall health with the natural phyto-chemicals present in it. It is also good for hairs and skin. It provides a very rich supply of natural antioxidants and peptides that meliorate the texture of the skin and nourish the all cells and tissues of the body. It helps to reduces wrinkles and blemishes and provides a smooth face that looks beautiful. It prevents the skin from any damage due to the UV rays and environmental pollution. Individuals who are suffering from skin ailments, especially eczema and psoriasis can consume a concoction of the artichokes for improving and nourishing the skin. Artichoke tea is a preparation of artichoke vegetable, especially artichoke flower heads or leaves. It has many benefits. It is good for skin diseases, improves circulation in the body and many more that we discuss in this article. You need to wash artichoke flower heads thoroughly. Then chop it off the base the vegetables, and then let it boil for on high heat for maximum an hour’s time. You should reduce the heat after an hour’s time, which would let the vegetable simmer for at least half an hour. For taste, you could add at least a tablespoon of honey in it. You should also drink a glass of juice by adding some more water if you wish to do so. You can take the concoction whether it is hot or cold. Such a concoction is quite beneficial with respect to skin and you could watch immediate effect on your skin quality in just few days of drinking the juice. Many of the creams, potions and lotions, gels are containing its extracts for anti-ageing and skin luminosity. It also promotes blood circulation throughout the body for improving and remarkable young look. Artichoke concoction also reduces the cholesterol in the blood, thus by promoting a healthy liver, which in turn is leading to the healthy and nourished skin as liver eliminates toxins from body. It is a good source of Vitamins C along with calcium and phosphorus. All these vitamins and minerals replenish the damaged, dry, dull and lifeless hair by improving the quality. One could use the juice and water for cooling for about three hours. You could strain the liquid and then apply for massaging your scalp. You can leave it for an overnight and washing with warm water along with mild shampoo in morning. Its liquid helps in repairing the damaged hairs, and forming a protective layer over the hair shaft, restoring minerals to dull hair and cleaning up the scalp from the dandruff. It is also helpful in the conditions when you are having hangover due to large amount of alcohol. Safety is not established with medicinal uses of artichoke concoction, so be at safer side. Consume it as vegetable only. Extract safety is also not well established. Who should not eat artichoke? People suffering from following health conditions should not eat artichoke. Those people are at risk that is allergic to plants like marigold and some other similar herbs. There is also some concern that it may worsen the condition of people with gall bladder stone. It can cause bile duct obstructions due to increase in flow of bile due to its bile secreting property. There is not much of information related to artichoke used in pregnant women and during the breast-feeding, so it is recommended that you should avoid it for being safe. In case, you are suffering from the above conditions then you should surely avoid intake of it. Before taking it, you should definitely consult your doctor. Artichoke is overall good vegetable and nutritious one. It could have many benefits and with very little unwanted effects. The unwanted effects occur in a very few cases, so they are very rare. In folk medicine, people use artichoke for snakebites, headache due to elevated blood pressure, and even in diabetes for lowering the blood sugar. Küskü-Kiraz Z, Mehmetçik G, Dogru-Abbasoglu S, Uysal M.Artichoke leaf extract reduces oxidative stress and lipoprotein dyshomeostasis in rats fed on high cholesterol diet. Phytother Res. 2010 Apr;24(4):565-70. doi: 10.1002/ptr.2985. PubMed PMID: 19777605. Bundy R, Walker AF, Middleton RW, Wallis C, Simpson HC.Artichoke leaf extract (Cynara scolymus) reduces plasma cholesterol in otherwise healthy hypercholesterolemic adults: a randomized, double blind placebo controlled trial. 2008 Sep;15(9):668-75. doi: 10.1016/j.phymed.2008.03.001. PubMed PMID: 18424099. 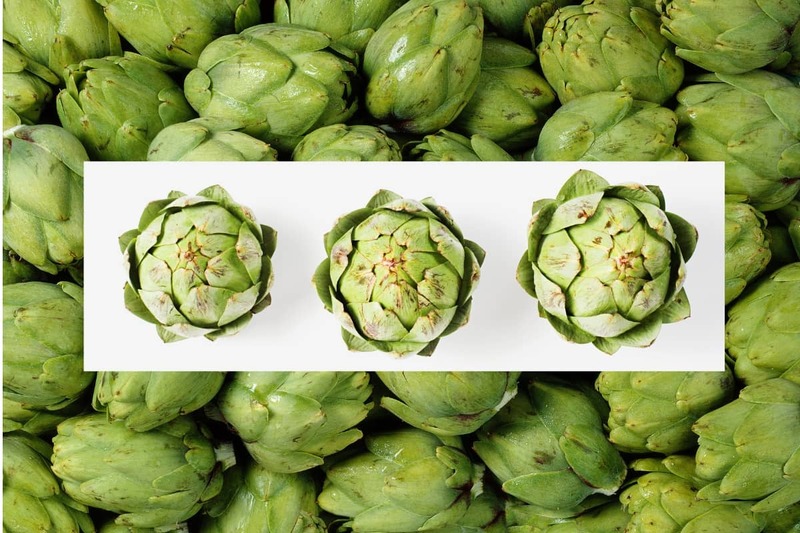 Bundy R, Walker AF, Middleton RW, Marakis G, Booth JC.Artichoke leaf extract reduces symptoms of irritable bowel syndrome and improves quality of life in otherwise healthy volunteers suffering from concomitant dyspepsia: a subset analysis. J Altern Complement Med. 2004 Aug;10(4):667-9. PubMed PMID: 15353023. Pittler MH, White AR, Stevinson C, Ernst E.Effectiveness of artichoke extract in preventing alcohol-induced hangovers: a randomized controlled trial. 2003 Dec 9;169(12):1269-73. PubMed PMID: 14662662; PubMed Central PMCID: PMC280580. Holtmann G, Adam B, Haag S, Collet W, Grünewald E, Windeck T.Efficacy of artichoke leaf extract in the treatment of patients with functional dyspepsia: a six-week placebo-controlled, double-blind, multicentre trial. Aliment Pharmacol Ther. 2003 Dec;18(11-12):1099-105. PubMed PMID: 14653829. Pittler MH, Thompson CO, Ernst E.Artichoke leaf extract for treating hypercholesterolaemia. Cochrane Database Syst Rev. 2002;(3):CD003335. Review. Update in: Cochrane Database Syst Rev. 2009;(4):CD003335. PubMed PMID: 12137691. Englisch W, Beckers C, Unkauf M, Ruepp M, Zinserling V.Efficacy of Artichoke dry extract in patients with hyperlipoproteinemia. 2000 Mar;50(3):260-5. PubMed PMID: 10758778. Gebhardt R.Inhibition of cholesterol biosynthesis in primary cultured rat hepatocytes by artichoke (Cynara scolymus L.) extracts. J Pharmacol Exp Ther. 1998 Sep;286(3):1122-8. PubMed PMID: 9732368. Gebhardt R.Antioxidative and protective properties of extracts from leaves of the artichoke (Cynara scolymus L.) against hydroperoxide-induced oxidative stress in cultured rat hepatocytes. Toxicol Appl Pharmacol. 1997 Jun;144(2):279-86. PubMed PMID: 9194411.